ENTRY From September 2016 we have had a strict pre 1990 entry requirement for cars. Building on October's Oldtimerfest where we reserved a special place for German cars, we will be having special Sundays for British, American, Italian & French cars as well as the German Oldtimerfest. As usual, people without pre 1990 are welcome to park in the public parking area. 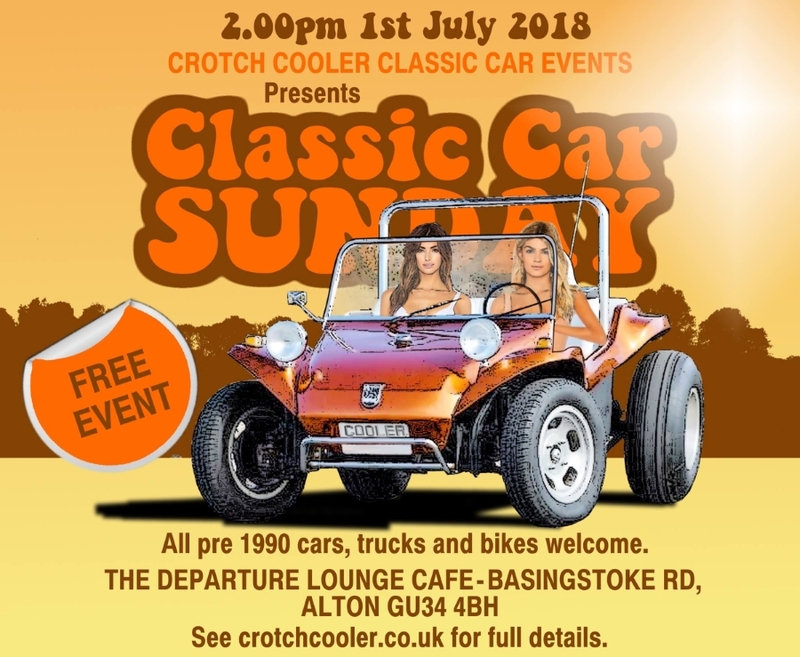 All pre 1990 classic cars and their owners are welcome to the Classic Car Sunday meets that will be taking place on the first Sunday of each month over the summer in Alton. The meets kick off in Alton from 2.00pm, where owners can take part in a chilled and relaxed Sunday afternoon classic car gathering. The site has ample free parking on a dedicated event field. The Caf� has full facilities and is filled with retro and vintage charm.